It’s the “Pseudoscience” episode, and the Lab’s getting a little spooky. People once thought that world was flat or nearly flat. It was considered a bit crazy to think of it as a big ball. But it is. You can prove it. One of the big ideas in science is that ideas can be tested. Scientists test claims. If one scientist claims that she or he can fill a balloon with invisible gas using vinegar and baking soda, other scientists can try it and see if they get the same result. Sometimes ideas are wild, extraordinary. And, the claims that go with these way-out ideas are pretty extraordinary as well. The round Earth is an example of an extraordinary claim that needed extraordinary proof. But, there are many people, who believe in extraordinary claims without looking for extraordinary proof. We scientists are always on the lookout. People claim that they can predict the future with an extra sense (Extra Sensory Perception) that the rest of us don’t have or can’t use. When they try to prove that they have it, they might say they can’t– not while you’re watching or listening or even thinking. Well, how could they prove it then? There are people, who believe that alien spacecraft visit the Earth, or believe that astrologists can predict the future, or believe that there are huge human-like creatures walking around in the woods that no one has ever seen up close. None of these things has stood up to scientific tests. We call these kinds of ideas “pseudoscience.” They seem scientific, but they’re not. If you see giant footprints, you might figure that there must be a giant creature making them. But what if you find someone, who says he made the prints with big wooden foot-shaped shoes? Well, then you might not have a new creature on your hands, uh, your feet. As you come across extraordinary claims, look for that extraordinary proof. Ask yourself how a claim could be tested. What proof would you need? See if it’s there. The future holds a lot of discoveries. There will be wild claims. Some of them will come with extraordinary proof. That’s science. Pseudoscience is not a regular Bill Nye the Science Guy episode; it’s paranormal! Strange or unusual claims need especially strong proof. There about 10 billion amateur photographs taken every year, yet no one has ever taken a picture of an alien spacecraft? The wobbling of the Earth’s spin has shifted the astrological constellations about one full month, yet astrologers don’t change their charts? “Fakes and Forgeries” by Ian Graham. Published by Raintree Steck-Vaughn, 1995. “Mysteries of the Unexplained” Published by Reader’s Digest, 1982. 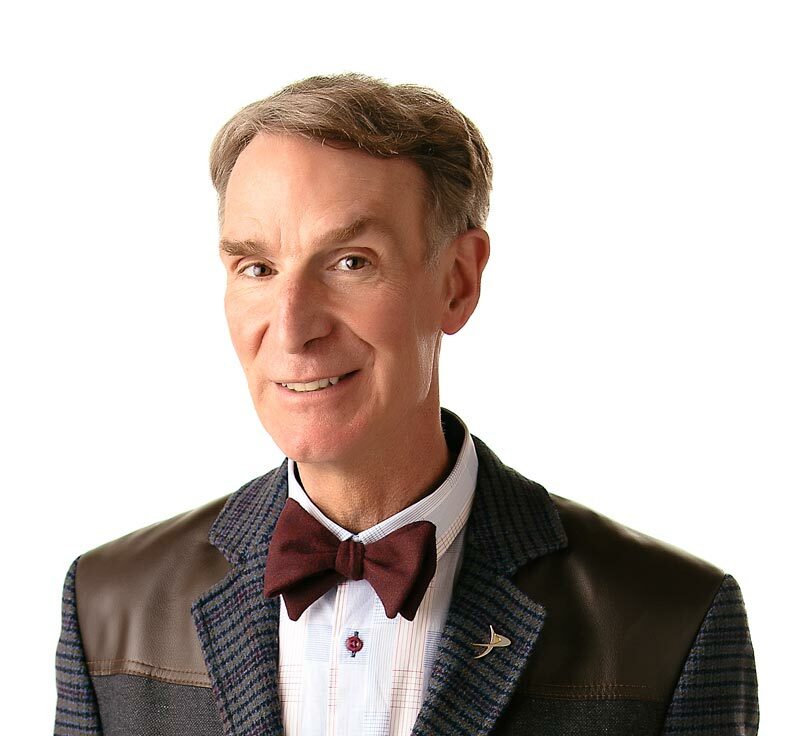 © 2019 Bill Nye. All rights reserved.